Malvin Artley, our regular esoteric commentator is catching up now with the subtle meaning of the Full Moon in Cancer for 2010. This is Capricorn's Full Moon, as the Moon is full in the sign opposing the Sun. The Full Moon of Capricorn (the Full Moon at Cancer 10º15'), which is also a lunar eclipse, takes place on the 31st December at 19:14 UT (GMT), which is 02:14 PM EST in the US. The peak of the Full Moon in Sydney will be 6:14 AM, January 1. I trust everyone had a happy Christmas season and is looking forward to the New Year. The ability to laugh at oneself and to see the humor in life is a great gift. On one of the morning radio shows here in Adelaide the presenters have a little segment they call the 'Woodduck of the Week'* (Yes, that is how they spell it.). It is a segment where the listeners are encouraged to ring in and dob themselves or someone else in for something completely silly or klutzy they had done at some point in the past. Some of the responses get posted on the station's web site. The 'winner' gets a frozen duck to have for dinner, a tee-shirt advertising the segment and the dubious honor of having their 'brighter moment' broadcast all over the Adelaide area. Sometimes the person dobbed in is a good sport about it, sometimes not, sometimes the caller has a few things to answer for, but the segment goes to show that we are all a bit less-than-perfect at times. 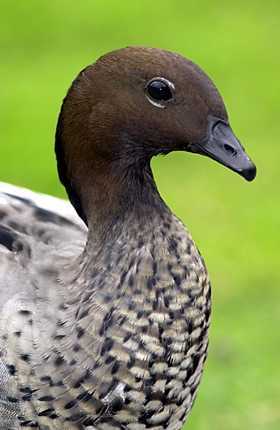 I like wood ducks. They are beautiful, petite little ducks and I fail to see why the producers of the radio segment named it after such a graceful-looking bird. Maybe wood duck chicks are ungainly and klutzy. Perhaps I am not up on all the colloquial Adelaide humor. However, as a lad I was a very serious young man and took to heart too much of what came my way. I had not yet learned how to laugh things off, much less laugh at myself. That all came after I got out of school and out into the world. Like all of us, I have at times been, dare I say, less than perfect. Yes. Actually, I have had quiet a few opportunities to be reminded that the human ego, even mine at times, is fragile (and, no, I will not be giving examples from my life, thank you very much!). People who know me will know that I am being tongue-in-cheek here. When we were growing up one of my brothers and I would often be together when we ourselves or someone else would do or say something silly or just state a plain no-brainer, at which point we would look at each other, smile, shake our heads and say, “It is to laugh,” and then nod in agreement. I have seen a lot of crazy things and done a few myself since those days but my ego, thankfully is much mellower now. Life is better that way. Capricorn rules over the growth and development of the human ego. With that, here is a look at what the sign holds for us this year. Capricorn is the sign that holds hidden a great mystery. What part of our nature is it that persists from life to life and watches our lives and evolution here? What is it that puts on the mask that we call the human persona and lives and works on the outer planes, the three worlds of cyclic existence? One of the keys to this mystery is held in the rulerships of the sign—orthodox, esoteric and hierarchical ('hierarchical' referring to the great classes of lives represented)—and in the case of Capricorn, there are only two. Saturn rules at both the orthodox and the esoteric level, while Venus is what one might call the ultimate ruler of the sign, or its hierarchical ruler. 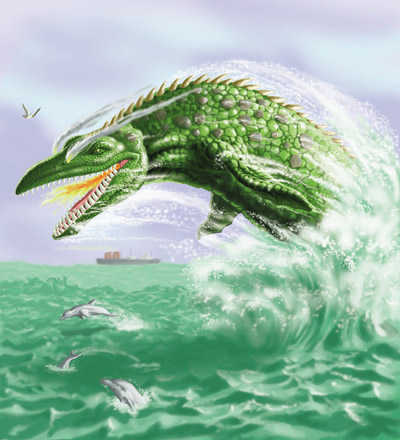 The class of lives represented by Capricorn is 'The Crocodiles' (Actually, it is 'the great whale' or Leviathan, the vehicle of Vishnu—'the One who enters into' or 'the One who pervades all'.) and the planetary ruler of that class of lives is Venus. Venus, as we know, is the planet that brings union between lives, to put it very simply, and in examining the relation between the two rulers of this sign we get a peek into the mystery surrounding it. Venus and Saturn are seen to be antithetical in orthodox astrology. Venus is seen to govern love and femininity, whereas Saturn is seen to be male, hard and full of sorrow, at least in the older interpretations of the planets. Venus is seen to bring people together, while Saturn is seen to move people apart or to keep them together because of obligations. It is my considered opinion, however, that the two planets actually work closely together and that their meanings are only partly known in the West. In the East both planets are yang, or tending toward structure and method—'male', to use a more understandable, but incorrect term. Yin and yang are actually genderless. In the East, Venus is the 'Minister of Justice', the 'Lord of the Western Direction', the direction of the setting sun with all of the symbolism attendant with that. It is the 'Metal Star', or the 'Great White' and it is said to watch over weapons, the administering of justice and governs the harvest. Saturn, in the East, is called the Regulator Planet or the Earth Star and it is said to govern the growth of virtue. In the blending of the effects of these two planets we get the clues to Capricorn that we need for this cycle. Saturn, watching over the growth of virtue, is lord in Capricorn only at the lower levels, the worldly and on the path of aspiration. As Lord of Karma, which it is as well, Saturn acts as the 'Regulator Planet', but not in the sense the Chinese meant it (regulator of the year). Saturn regulates our relationships, to put it simply, and it is in the working out of those relationships that we work off or create karma, but hopefully grow in virtue as a result. Saturn offers up a choice in whatever sphere it operates, and dependent upon that choice, one's karma is set in place, sometimes for many lifetimes. Venus, as overlord of Capricorn, rules dharma, which is loosely translated as the Law (spiritual Law). However, that Law can be seen as the path which leads to the full expression of one's intrinsic nature, the dharmakaya, or wisdom-truth body—one's 'higher Self'. Dharma is thus the result and the path—the 'way of truth', the 'Just Way'. Venus is realized wisdom, and it is thus the wisdom realized as the results of spiritual practices, no matter what one's faith. Venus is both method and wisdom united. So, we have two dynamics at work in Capricorn. Firstly, we have the path of worldly ambition and successes and failures, leading ultimately to one making proper choices about one's life and spirituality. That is the Saturn phase of Capricorn. The pain and restriction (negative karma) of life in the lower realms is usually what leads one on to the path of return—to the dharma, in other words. Secondly, the Venus dynamic leads one to seek and apply wisdom on the path and see oneself as one with or equal to others. Venus brings one a suitable teacher when the time is right (when karma dictates). One could say that Saturn propels or impels one into the bosom of Venus and thus to the feet of the master/guru/teacher. Saturn propels one out into the world and limitation. Venus governs the path of return, or the inner path. Venus governs the causal lotus—the soul in incarnation—the place where wisdom is garnered, the place of meeting and communion between the higher and lower aspects of ourselves. This is our own individual 'lotus garden' or mandala, the seat, until it is superseded, of meditative work and we are able to create our own celestial mansion, the nirmanakaya or perfected emanation body. That is a long way in the future for most of us, though. A final point needs to be made here, and it applies specifically to this solar festival: There is a 'middle dynamic' with Capricorn in distinction to the two in the previous paragraph and it is involved with the interplay between Venus and Saturn. It is never 'either/or' in astrology, black or white. Boundaries like the cusps of the signs, for instance, are not clearly demarcated nor do planets stand alone in their function. Planetary and zodiacal energies blend and fuse and this is seen in the various rulerships for the signs. Once one has stepped onto the path of return (the spiritual path) one is immediately faced with new, higher energies. The esoteric ruler immediately 'kicks in' once the decision is made to walk the path and the two—orthodox and esoteric—rulers intermingle and blend for quite some time. That would make for a fascinating study. For those who are nearing the end of life in this world, that is to say the end of the necessity for cyclic existence or rebirth, the focus shifts yet again and the ultimate or hierarchical ruler makes its presence felt, blending with the energies and work of the other two rulers, for the orthodox ruler still has a sway until the cycle of lives is completed. For those of us who are aspiring to a spiritual life and a life where one is 'in the world but not of it' Venus and Saturn are both very active. There are two strong efforts being made when one is consciously on the path. Firstly, one is working off karma in a greatly accelerated fashion. This is especially true if one is actively engaged in spiritual practice, and especially practices such as secret mantra (anuttara yoga tantra). Secondly, not only is one working off karma, but at the same time one is rapidly seeking to build in virtue, and thus gaining in wisdom. One is 'acting as if' as much as possible and within the constraints of life in this world. In other words, one is practicing and emulating their essence or true nature—the divine nature within each of us. What we gain in virtue, we lose in negative karma and the process could be said to increase exponentially over time. A virtuous life and a life of accelerated working off of karma is thus highlighted and challenges ensue along that line when Saturn and Venus are linked in a horoscope. You see the best and the worst in a person, especially if they are a Capricorn type, for Capricorn is said to exemplify the best and the worst in humanity. We have addressed this point in past letters. Let's face it—it's not easy being virtuous in a world full of materialism, where vice is seen as pleasure, where happiness is equated with satisfaction instead of contentment, where escapism is the norm rather than facing one's personal issues at hand, where grasping at and for the self is the order of the day. For instance, I was speaking with a friend the other day and it was noted, for instance, that Christmas and the whole Capricorn (Christmas holiday) period is not at all about quiet and reflection, as it should be. Rather, it seems to be about having one party after the next and seeing how much new 'stuff' we can get. Yet, many people suffer through the holidays because their true needs are not addressed or met. Family and social karma is in our faces over that period. Instead of facing those things and growing in wisdom and love from that, we practice mega-retail therapy and then go out and 'Party hardy!' as we used to say when I was just out of school. What is the true meaning of the holidays—our 'holy-days'? What really gives meaning to life? We learn that most fully in Capricorn. With that, let's have a look at the New Year and solar festival. We start the year with a couple of eclipses, with the eclipse on the day a South Node annular lunar eclipse. In addition, 2010 will be a doubly-blind year in terms of the Chinese astrology—2010 being the Year of the Iron (White) Tiger—and, as such, the auspices at the start of the year are not what we might call favorable. However, lest we automatically go into negative thinking about the year to come, let's look at the whole picture before we form any opinions about the unfolding of the next twelve months. To begin with, Iron Tiger years typically bring a lot of change, often for the better and especially with regard to labor relations and human rights, but not without a bit of struggle in the process. I will cover all this more in the Chinese New Year letter to come out at the close of January. Doubly-blind years refer to the fact that the li chun does not occur in the lunar year. The li chun is the 'Beginning of Spring' in the cycle of Chinese festivals and typically is either the 3rd or 4th of February. Doubly-blind years are also referred to as 'widow years' in northern China and 'blind years' in southern China. The main indicator is that marriages are unfavorable in those years. After reading what follows about the eclipses and after reading the Iron Tiger letter the reasons for inauspicious marriages might become more clear. We will set the Chinese astrology aside for now. In part two of this article, Malvin Artley continues his exploration of the esoteric meanings of the Full Moon in Cancer and the cosmic influences at the beginning of 2010. * Triple M Radio. Also, there will be a Sagittarius letter, as it applies for the year. Other obligations prevented me from getting it out in a timely manner. I had to take on another role for a while. :-) I will also look at the year that was and the year to come in the Chinese New Year letter.